Wedding Salon is rated 3.9 out of 5 by 39. Rated 5 out of 5 by phillipsjennie from I Love This Game!!! I've been a member since 2007. Bought Wedding Salon in May of 2016. I play through the game (to get all levels "expert") two or three times, then uninstall. After a couple of months I re-install it and play through it multiple times. As you can figure, I have LOTS of games to choose from. One of the things I love about this game is that while the challenges are pre-ordained, the player is able to choose what salon features to use...so it's like almost like a new game each time you play through it! I am physically disabled, and use playing games to distract myself from the chronic pain. BigFish is AWESOME! 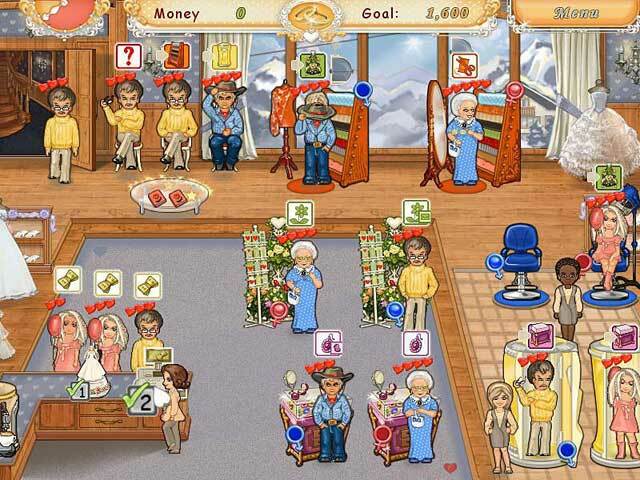 Wedding Salon and Wedding Salon 2 are among my favorite games! 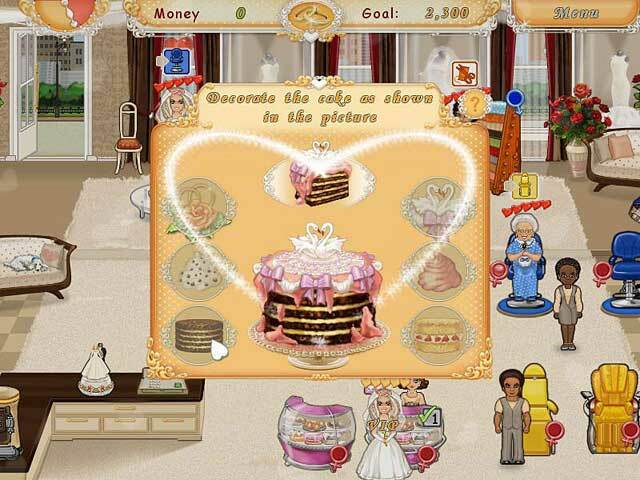 Rated 5 out of 5 by Lioness901 from I say I do to this game This game is so relaxing and so much fun. I love all the different character's in the game they make me laugh. I love trying to figure out how to get it all done in time the challenge is fun. Rated 5 out of 5 by sandra523 from I would like to play another This game is enjoyable and interactive. I like how we get to choose where we want to have her wedding and plan some of the decorations. I definitely would love to buy and play another game like this one. Maybe a few more interactive choices. Rated 5 out of 5 by BlackwellFan25 from My New Favorite Time Management Game! It's really challenging, but very fun to play! 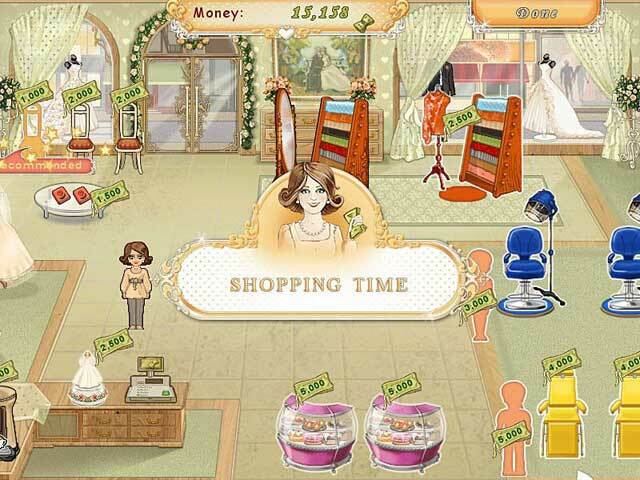 If you are a BIG fan of Time Management games, you'll definitely love this one! It has a lot of fun mini-games, pretty nice salons, and good soundtracks. The best part of this game is you can customize your own dream wedding! Rated 5 out of 5 by Lonnieball from Amazing game! My favorite thing about this game is the fact that you can plan your own wedding when you reach expert scores. In most games, you don't get anything for reaching the expert score, but in this game it's rewarded, which is an extra motivation to do better. The main goals are very easy to achieve, but you may be struggling with getting expert scores on some levels. Every level brings a new challenge; there is no such thing as a 'normal' level in this game, which is awesome. There's a lot of minigames, which sometimes annoys me, but it's still loads of fun to play. Rated 5 out of 5 by RedOHenry from Entertaining with Challenge I keep going back to this game every several months and each time I find myself challenged, sometimes wondering how did I get past a certain level before. I wish they would have come out with a part II. 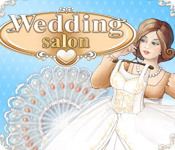 Rated 5 out of 5 by pame1017 from wedding salon wedding salon is a game that was created in 2012. you will love it like me. Rated 5 out of 5 by Minions5 from Loved it Great game - fun, fast and realistic. Rated 5 out of 5 by Ofriki13 from COULDN'T STOP PLAYING! This game is really fun to play! But one thing! It most recomended for girls! I don't think that boys would love this game... thats it!